Depending on the project, the stakeholder strategy you need to employ can vary drammatically. This is because what is required when dealing with say 2 project stakeholders is very different from what is requred when there are 30. This is simple. Ensure you have good project communications and effective liaison with the relevant stakeholders. Have a weekly team meeting and deal with the potential scope creep issues there as they arise. This is where it starts getting complicated because you can't have just the one strategy for stakeholders at this level due to the different varieties involved. As you will have learned in who is a stakeholder, everyone from a project sponsor through to your team leads are all considered to be stakeholders. However they all have different roles to play on a project as well as different priorities. So for example a project stakeholder from marketing will want a solution delivered which increases brand awareness and sales of the product. A stakeholder from technology ie a team lead will be keen on delivering a simple solution which can be easily developed within the timeframes required. This means you need to be flexible with your strategies to deal with stakeholders. A way of doing this is to have a one to one session each week with your project sponsor or else attend the Programme Board in order to articulate progress. This stops the whole "I have no idea what is going on with this project and I'm supposed to be the project sponsor" conversation which can only be a good thing. It also means that other interested parties hear what is going on, which when things are going well only enhances your reputation. With regard to the project management stakeholders who are members of your team,well I tend to find that a weekly team meeting is a good way to ensure everyone is clear of progress and what end goal they are working towards. This is also a good stakeholder strategy because it means that no-one feels another team is getting special treatment. 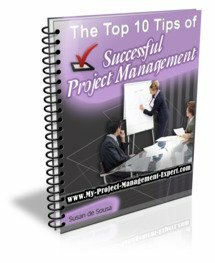 After all, managing project teams is hard enough as it is. You'd be astonished how bitchy project teams can get even when compromised of mainly of men! Be flexible in the stakeholder strategies you employ. This is particularly important when managing the larger projects where there are far more stakeholders involved.